We tend to be busy here at our Lenox MA bed and breakfast when Tanglewood is in full swing. People travel from all over the country, and indeed from around the globe, to experience Tanglewood and the Berkshires. It gives us great pleasure to host our guests during this time, when the arts flourish more than ever in Massachusetts. “Tanglewood on Parade” is a favorite tradition at the Tanglewood Festival. July 28, 2009, will be a full day of music, family events and fun. The grounds open at 2PM with the first event, Music and Astronomy Under the Stars: Dr. Donald Lubowich from Hofstra University will train his telescope on the heavens while participants celebrate the 400th anniversary of Galileo using a telescope for astronomy with music and a variety of fun activities. From 3PM to 7:30PM, the Visitors Center offers free Tanglewood tours. Throughout the day, Ozawa Hall will be open: TMC Piano Repetoire at 2:30, TMC Instrumental Fellows at 4:30, and TMC Instrumental and Vocal Fellows at 5:30. The day culminates at 8:30PM in the Kousseitzky Music Shed, with performances by the Boston Symphony Orchestra, the TMC, and the Boston Pops. Five conductors will share the podium: James Levine, Keith Lockhart, John Williams, Rafael Fruhbeck de Burgos and Leonard Slatkin. Tchaikovsky’s 1812 Overture will fill the air, fireworks will fill the sky, and you will be thrilled to be there. 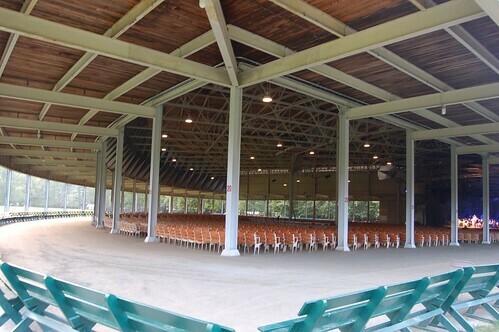 We look forward to seeing you at our Tanglewood lodging in the Berkshires this summer.